“Lump sugar” redirects here. For the South Korean film, see Lump Sugar. Sugar is the generic name for sweet-tasting, soluble carbohydrates, many of which are used in food. The various types of sugar are derived from different sources. Simple sugars are called monosaccharides and include glucose (also known as dextrose), fructose, and galactose. “Table sugar” or “granulated sugar” refers to sucrose, a disaccharide of glucose and fructose. In the body, sucrose is hydrolysed into fructose and glucose. The etymology reflects the spread of the commodity. From Sanskrit शर्करा (śarkarā), meaning “ground or candied sugar,” originally “grit, gravel”, came Persian shakar, whence Arabic سكر (sukkar), whence Medieval Latin succarum, whence 12th-century French sucre, whence the English word sugar. Italian zucchero, Spanish azúcar, and Portuguese açúcar came directly from Arabic, the Spanish and Portuguese words retaining the Arabic definite article. The earliest Greek word attested is σάκχαρις (sákkʰaris). Sugar remained relatively unimportant until the Indians discovered methods of turning sugarcane juice into granulated crystals that were easier to store and to transport. Crystallized sugar was discovered by the time of the Imperial Guptas, around the 5th century CE. In the local Indian language, these crystals were called khanda (Devanagari: खण्ड, Khaṇḍa), which is the source of the word candy. Indian sailors, who carried clarified butter and sugar as supplies, introduced knowledge of sugar along the various trade routes they travelled. Traveling Buddhist monks took sugar crystallization methods to China. During the reign of Harsha (r. 606–647) in North India, Indian envoys in Tang China taught methods of cultivating sugarcane after Emperor Taizong of Tang (r. 626–649) made known his interest in sugar. China established its first sugarcane plantations in the seventh century. Chinese documents confirm at least two missions to India, initiated in 647 CE, to obtain technology for sugar refining. In the Indian subcontinent, the Middle East and China, sugar became a staple of cooking and desserts. Nearchus, admiral of Alexander of Macedonia, knew of sugar during the year 325 B.C., because of his participation in the campaign of India led by Alexander (Arrian, Anabasis). The Greek physician Pedanius Dioscorides in the 1st century CE described sugar in his medical treatise De Materia Medica, and Pliny the Elder, a 1st-century CE Roman, described sugar in his Natural History: “Sugar is made in Arabia as well, but Indian sugar is better. It is a kind of honey found in cane, white as gum, and it crunches between the teeth. It comes in lumps the size of a hazelnut. Sugar is used only for medical purposes.” Crusaders brought sugar back to Europe after their campaigns in the Holy Land, where they encountered caravans carrying “sweet salt”. Early in the 12th century, Venice acquired some villages near Tyre and set up estates to produce sugar for export to Europe. It supplemented the use of honey, which had previously been the only available sweetener. Crusade chronicler William of Tyre, writing in the late 12th century, described sugar as “very necessary for the use and health of mankind”. In the 15th century, Venice was the chief sugar refining and distribution center in Europe. Sugar also led to some industrialization of areas where sugar cane was grown. For example, in the 1790s Lieutenant J. Paterson, of the Bengal establishment, promoted to the British Government the idea that sugar cane could grow in British India, where it had started, with many advantages and at less expense than in the West Indies. As a result, sugar factories were established in Bihar in eastern India. During the Napoleonic Wars, sugar-beet production increased in continental Europe because of the difficulty of importing sugar when shipping was subject to blockade. By 1880 the sugar beet was the main source of sugar in Europe. It was also cultivated in Lincolnshire and other parts of England, although the United Kingdom continued to import the main part of its sugar from its colonies. Maltose is formed during the germination of certain grains, the most notable being barley, which is converted into malt, the source of the sugar’s name. A molecule of maltose is formed by the combination of two molecules of glucose. It is less sweet than glucose, fructose or sucrose. It is formed in the body during the digestion of starch by the enzyme amylase and is itself broken down during digestion by the enzyme maltase. The sugar contents of common fruits and vegetables are presented in Table 1. The fructose to fructose plus glucose ratio is calculated by including the fructose and glucose coming from the sucrose. Sugar cane requires a frost-free climate with sufficient rainfall during the growing season to make full use of the plant’s substantial growth potential. The crop is harvested mechanically or by hand, chopped into lengths and conveyed rapidly to the processing plant (commonly known as a sugar mill) where it is either milled and the juice extracted with water or extracted by diffusion. The juice is clarified with lime and heated to destroy enzymes. The resulting thin syrup is concentrated in a series of evaporators, after which further water is removed. 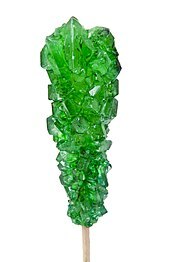 The resulting supersaturated solution is seeded with sugar crystals, facilitating crystal formation and drying. Molasses is a by-product of the process and the fiber from the stems, known as bagasse, is burned to provide energy for the sugar extraction process. The crystals of raw sugar have a sticky brown coating and either can be used as they are, can be bleached by sulfur dioxide, or can be treated in a carbonatation process to produce a whiter product. About 2,500 litres (660 US gal) of irrigation water is needed for every one kilogram (2.2 pounds) of sugar produced. The sugar may be transported in bulk to the country where it will be used and the refining process often takes place there. The first stage is known as affination and involves immersing the sugar crystals in a concentrated syrup that softens and removes the sticky brown coating without dissolving them. The crystals are then separated from the liquor and dissolved in water. The resulting syrup is treated either by a carbonatation or by a phosphatation process. Both involve the precipitation of a fine solid in the syrup and when this is filtered out, many of the impurities are removed at the same time. Removal of color is achieved by using either a granular activated carbon or an ion-exchange resin. The sugar syrup is concentrated by boiling and then cooled and seeded with sugar crystals, causing the sugar to crystallize out. The liquor is spun off in a centrifuge and the white crystals are dried in hot air and ready to be packaged or used. The surplus liquor is made into refiners’ molasses. 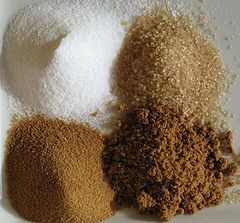 Milled sugars (known as confectioner’s sugar and powdered sugar) are ground to a fine powder. They are used as powdered sugar (also known as icing sugar or confectionary sugar), for dusting foods and in baking and confectionery. Sugar refiners and manufacturers of sugary foods and drinks have sought to influence medical research and public health recommendations, with substantial and largely clandestine spending documented from the 1960s to 2016. The results of research on the health effects of sugary food and drink differ significantly, depending on whether the researcher has financial ties to the food and drink industry. A 2013 medical review concluded that “unhealthy commodity industries should have no role in the formation of national or international NCD [non-communicable disease] policy”. The 2003 WHO report stated that “Sugars are undoubtedly the most important dietary factor in the development of dental caries“. A review of human studies showed that the incidence of caries is lower when sugar intake is less than 10% of total energy consumed. The “empty calories” argument states that a diet high in added sugar will reduce consumption of foods that contain essential nutrients. This nutrient displacement occurs if sugar makes up more than 25% of daily energy intake, a proportion associated with poor diet quality and risk of obesity. Displacement may occur at lower levels of consumption. Claims have been made of a sugar–Alzheimer’s disease connection, but there is inconclusive evidence that cognitive decline is related to dietary fructose or overall energy intake. On May 20, 2016, the U.S. Food and Drug Administration announced changes to the Nutrition Facts panel displayed on all foods, to be effective by July 2018. New to the panel is a requirement to list “Added sugars” by weight and as a percent of Daily Value (DV). For vitamins and minerals, the intent of DVs is to indicate how much should be consumed. For added sugars, the guidance is that 100% DV should not be exceeded. 100% DV is defined as 50 grams. For a person consuming 2000 calories a day, 50 grams is equal to 200 calories and thus 10% of total calories—the same guidance as the World Health Organization. To put this in context, most 12 ounce (335 mL) cans of soda contain 39 grams of sugar. In the United States, a government survey on food consumption in 2013–2014 reported that, for men and women aged 20 and older, the average total sugar intakes—naturally occurring in foods and added—were, respectively, 125 and 99 g/day. ^ a b “Guideline: Sugar intake for adults and children” (PDF). Geneva: World Health Organization. 2015: 4. Archived (PDF) from the original on July 4, 2018. ^ a b Harper, Douglas. “Sugar”. Online Etymology Dictionary. ^ “Jaggery”. Oxford Dictionaries. Retrieved 2012-08-17. ^ “Sugarcane: Saccharum Officinarum” (PDF). USAID, Govt of United States. 2006. p. 7.1. Archived from the original (PDF) on 2013-11-06. ^ “There is a kind of coalesced honey called sakcharon [i.e. sugar] found in reeds in India and Eudaimon Arabia similar in consistency to salt and brittle enough to be broken between the teeth like salt,” Quoted from Book Two of Dioscorides’ Materia Medica. The book is downloadable from links at the Wikipedia Dioscorides page. ^ Laurence, K (1994). A Question of Labour: Indentured Immigration Into Trinidad & British Guiana, 1875–1917. St Martin’s Press. ISBN 978-0-312-12172-3. Bosma, Ulbe (2013). The Sugar Plantation in India and Indonesia: Industrial Production, 1770–2010. Studies in Comparative World History. Cambridge University Press. ISBN 978-1-107-43530-8. Retrieved 2018-09-03. ^ “How Sugar is Made – the History”. SKIL: Sugar Knowledge International. Retrieved 2012-03-28. ^ “A Visit to the Tate & Lyle Archive”. The Sugar Girls blog. 10 March 2012. Retrieved 2012-03-11. Barrett, Duncan & Nuala Calvi (2012). The Sugar Girls. Collins. p. ix. ISBN 978-0-00-744847-0. ^ a b Hicks, Jesse (Spring 2010). “The Pursuit of Sweet”. Science History Institute. ^ “1953: Sweet rationing ends in Britain”. BBC. 5 February 1953. ^ Nilsson, Jeff (May 5, 2017). “Could You Stomach America’s Wartime Sugar Ration? 75 Years Ago”. Saturday Evening Post. ^ Lee, K. (1946). “Sugar Supply”. CQ Press. Retrieved 28 October 2018. ^ “Rationing of food and clothing during the Second World War”. The Australian War Memorial. October 25, 2017. ^ Ur-Rehman, S; Mushtaq, Z; Zahoor, T; Jamil, A; Murtaza, MA (2015). “Xylitol: a review on bioproduction, application, health benefits, and related safety issues”. Critical Reviews in Food Science and Nutrition. 55 (11): 1514–28. doi:10.1080/10408398.2012.702288. PMID 24915309. ^ Joshi, S; Agte, V (1995). “Digestibility of dietary fiber components in vegetarian men”. Plant Foods for Human Nutrition (Dordrecht, Netherlands). 48 (1): 39–44. doi:10.1007/BF01089198. PMID 8719737. ^ a b c d Buss, David; Robertson, Jean (1976). Manual of Nutrition; Ministry of Agriculture, Fisheries and Food. London: Her Majesty’s Stationery Office. pp. 5–9. ^ Schenck, Fred W. (2006). “Glucose and Glucose-Containing Syrups”. Ullmann’s Encyclopedia of Industrial Chemistry. Wiley-VCH, Weinheim. doi:10.1002/14356007.a12_457.pub2. ^ “Lactase”. Encyclopædia Britannica Online. ^ “Maltase”. Encyclopædia Britannica Online. ^ “Sucrase”. Encyclopædia Britannica Online. ^ “Sugar beet production in 2016, Crops/Regions/World list/Production Quantity (pick lists)”. UN Food and Agriculture Organization, Corporate Statistical Database (FAOSTAT). 2017. Retrieved 20 May 2018. ^ a b “Sugar: World Markets and Trade” (PDF). Foreign Agricultural Service, US Department of Agriculture. November 2017. Retrieved 20 May 2018. ^ “Biennial beet”. GMO Compass. Archived from the original on 2014-02-02. Retrieved 2014-01-26. ^ a b “How Beet Sugar is Made”. Sugar Knowledge International. Retrieved 2012-03-22. ^ “Sugarcane production in 2016, Crops/Regions/World list/Production Quantity (pick lists)”. UN Food and Agriculture Organization, Corporate Statistical Database (FAOSTAT). 2017. Retrieved 20 May 2018. ^ a b c d “How Cane Sugar is Made – the Basic Story”. Sugar Knowledge International. Retrieved 24 September 2018. ^ Flynn, Kerry (April 23, 2016). “India Drought 2016 May Lead 29–35% Drop In Sugar Output For 2016–17 Season: Report”. International Business Times. Retrieved October 27, 2016. ^ “Tantangan Menghadapi Ketergantungan Impor Gula Rafinasi” (in Indonesian). Asosiasi Gula Rafinasi Indonesia. Retrieved 9 April 2014. ^ “Rafinasi Vs Gula Kristal Putih” (in Indonesian). Kompas Gramedia. 2011-07-29. Retrieved 9 April 2014. ^ Pakpahan, Agus; Supriono, Agus, eds. (2005). “Bagaimana Gula Dimurnikan – Proses Dasar”. Ketika Tebu Mulai Berbunga (in Indonesian). Bogor: Sugar Observer. ISBN 978-979-99311-0-8. ^ “How Sugar is Refined”. SKIL. Retrieved 2012-03-22. ^ Deulgaonkar, Atul (March 12–25, 2005). “A case for reform”. Frontline. 22 (8). Archived from the original on 2011-07-28. ^ a b Pakpahan, Agus; Supriono, Agus, eds. (2005). “Industri Rafinasi Kunci Pembuka Restrukturisasi Industri Gula Indonesia”. Ketika Tebu Mulai Berbunga (in Indonesian). Bogor: Sugar Observer. pp. 70–72. ISBN 978-979-99311-0-8. ^ a b c d e f g “The journey of sugar”. British Sugar. Archived from the original on 2011-03-26. Retrieved 2012-03-23. ^ “Types and uses”. Sugar Nutrition UK. Retrieved 2012-03-23. ^ Hofman, D. L; Van Buul, V. J; Brouns, F. J (2015). “Nutrition, Health, and Regulatory Aspects of Digestible Maltodextrins”. Critical Reviews in Food Science and Nutrition. 56 (12): 2091–2100. doi:10.1080/10408398.2014.940415. PMC 4940893. PMID 25674937. ^ European Parliament and Council (1990). “Council Directive on nutrition labelling for foodstuffs”. Council Directive of 24 September 1990 on nutrition labelling for foodstuffs. p. 4. Retrieved 2011-09-28. ^ “Food Balance Sheets”. Food and Agriculture Organization of the United Nations. 2007. ^ Amber Pariona (25 April 2017). “Top Sugar Consuming Nations In The World”. World Atlas. Retrieved 20 May 2018. ^ “Sugars, granulated (sucrose) in 4 grams (from pick list)”. Conde Nast for the USDA National Nutrient Database, version SR-21. 2014. Retrieved 13 May 2017. ^ O’Connor, Anahad (12 June 2007). “The Claim: Brown Sugar Is Healthier Than White Sugar”. The New York Times. Retrieved 13 May 2017. ^ Mozaffarian, Dariush (2017-05-02). “Conflict of Interest and the Role of the Food Industry in Nutrition Research”. JAMA. 317 (17): 1755–56. doi:10.1001/jama.2017.3456. ISSN 0098-7484. PMID 28464165. ^ Anderson, P.; Miller, D. (2015-02-11). “Commentary: Sweet policies” (PDF). BMJ. 350 (feb10 16): 780–h780. doi:10.1136/bmj.h780. ISSN 1756-1833. PMID 25672619. ^ a b c Kearns, C. E.; Schmidt, L. A; Glantz, S. A (2016). “Sugar Industry and Coronary Heart Disease Research: A Historical Analysis of Internal Industry Documents”. JAMA Internal Medicine. 176 (11): 1680–85. doi:10.1001/jamainternmed.2016.5394. PMC 5099084. PMID 27617709. ^ Kearns, Cristin E.; Glantz, Stanton A.; Schmidt, Laura A. (2015-03-10). Simon Capewell (ed.). “Sugar Industry Influence on the Scientific Agenda of the National Institute of Dental Research’s 1971 National Caries Program: A Historical Analysis of Internal Documents”. PLOS Medicine. 12 (3): 1001798. doi:10.1371/journal.pmed.1001798. ISSN 1549-1676. PMC 4355299. PMID 25756179. ^ Aaron, Daniel G.; Siegel, Michael B. (January 2017). “Sponsorship of National Health Organizations by Two Major Soda Companies”. American Journal of Preventive Medicine. 52 (1): 20–30. doi:10.1016/j.amepre.2016.08.010. ISSN 0749-3797. PMID 27745783. ^ Bes-Rastrollo, Maira; Schulze, Matthias B.; Ruiz-Canela, Miguel; Martinez-Gonzalez, Miguel A. (2013). “Financial conflicts of interest and reporting bias regarding the association between sugar-sweetened beverages and weight gain: a systematic review of systematic reviews”. PLoS Medicine. 10 (12): 1001578. doi:10.1371/journal.pmed.1001578. PMC 3876974. PMID 24391479. ^ O’Connor, Anahad (2016-10-31). “Studies Linked to Soda Industry Mask Health Risks”. The New York Times. ISSN 0362-4331. Retrieved 2018-03-23. ^ Moodie, Rob; Stuckler, David; Monteiro, Carlos; Sheron, Nick; Neal, Bruce; Thamarangsi, Thaksaphon; Lincoln, Paul; Casswell, Sally (2013-02-23). “Profits and pandemics: prevention of harmful effects of tobacco, alcohol, and ultra-processed food and drink industries”. The Lancet. 381 (9867): 670–79. doi:10.1016/S0140-6736(12)62089-3. ISSN 0140-6736. PMID 23410611. ^ O’Connor, Anahad (2015-08-09). “Coca-Cola Funds Scientists Who Shift Blame for Obesity Away From Bad Diets”. Well. Retrieved 2018-03-24. ^ Lipton, Eric (2014-02-11). “Rival Industries Sweet-Talk the Public”. The New York Times. ISSN 0362-4331. Retrieved 2018-03-23. ^ Sifferlin, Alexandra (2016-10-10). “Soda Companies Fund 96 Health Groups In the U.S.” Time. Retrieved 2018-03-24. ^ a b c Joint WHO/FAO Expert Consultation (2003). “WHO Technical Report Series 916: Diet, Nutrition and the Prevention of Chronic Diseases” (PDF). Retrieved 2013-12-25. ^ Malik, V. S.; Popkin, B. M.; Bray, G. A.; Despres, J.-P.; Willett, W. C.; Hu, F. B. (2010). “Sugar-Sweetened Beverages and Risk of Metabolic Syndrome and Type 2 Diabetes: A meta-analysis”. Diabetes Care. 33 (11): 2477–83. doi:10.2337/dc10-1079. PMC 2963518. PMID 20693348. ^ Malik, Vasanti S.; Pan, An; Willett, Walter C.; Hu, Frank B. (2013-10-01). “Sugar-sweetened beverages and weight gain in children and adults: a systematic review and meta-analysis”. The American Journal of Clinical Nutrition. 98 (4): 1084–1102. doi:10.3945/ajcn.113.058362. ISSN 0002-9165. PMC 3778861. PMID 23966427. ^ Gordon EL, Ariel-Donges AH, Bauman V, Merlo LJ (April 2018). “What Is the Evidence for “Food Addiction?” A Systematic Review”. Nutrients. 10 (4): 477. doi:10.3390/nu10040477. PMC 5946262. PMID 29649120. ^ Davis, Caroline (2010). “Attention-deficit/Hyperactivity Disorder: Associations with Overeating and Obesity”. Current Psychiatry Reports. 12 (5): 389–95. doi:10.1007/s11920-010-0133-7. PMID 20632134. ^ Visram, S; Cheetham, M; Riby, D. M; Crossley, S. J; Lake, A. A (2016). “Consumption of energy drinks by children and young people: A rapid review examining evidence of physical effects and consumer attitudes”. BMJ Open. 6 (10): e010380. doi:10.1136/bmjopen-2015-010380. PMC 5073652. PMID 27855083. ^ Moynihan, P. J; Kelly, S. A (2014). “Effect on Caries of Restricting Sugars Intake: Systematic Review to Inform WHO Guidelines”. Journal of Dental Research. 93 (1): 8–18. doi:10.1177/0022034513508954. PMC 3872848. PMID 24323509. ^ Marriott BP, Olsho L, Hadden L, Connor P (2010). “Intake of added sugars and selected nutrients in the United States, National Health and Nutrition Examination Survey (NHANES) 2003–2006”. Crit Rev Food Sci Nutr. 50 (3): 228–58. doi:10.1080/10408391003626223. PMID 20301013. ^ Lakhan, Shaheen E. & Annette Kirchgessner (2013). “The emerging role of dietary fructose in obesity and cognitive decline”. Nutrition Journal. 12 (1): 114. doi:10.1186/1475-2891-12-114. PMC 3751294. PMID 23924506. ^ Chiavaroli, Laura; Vanessa Ha; Russell J. de Souza; Cyril W. C. Kendall & John L. Sievenpiper (2014). “Fructose in obesity and cognitive decline: is it the fructose or the excess energy?”. Nutrition Journal. 13 (1): 27. doi:10.1186/1475-2891-13-27. PMC 3987663. PMID 24666585. ^ “Measurement & conversion charts”. Domino Sugar. 2011. Archived from the original on October 3, 2014. ^ “Engineering Resources – Bulk Density Chart”. Powder and Bulk. Archived from the original on 2002-10-27. Saulo, Aurora A. (March 2005). “Sugars and Sweeteners in Foods” (PDF). College of Tropical Agriculture and Human Resources. Taubes, Gary (April 13, 2011). “Is sugar toxic?”. New York Times.